WMV is the default video format of Windows Media Player and it’s commonly used to store videos in Windows operation system. When you want to play YouTube videos offline on Windows Media player or edit the downloaded videos with a Windows-based editor, you’re supposed to convert YouTube to WMV for better compatibility. An example should make this easier to understand. Windows media player 11 for Windows XP only supports formats like WMV, WAV, and ASF so you would come cross the Windows Media Player MP4 Playback Issue, Windows Media Player MKV problem and so forth. By converting YouTube to WMV, you can play any video on Windows Media Player and so on without problems. How to free convert a YouTube video to WMV easily? That's what we're going to discuss in this article! 1. WonderFox Free HD Video Converter Factory supports converting YouTube to WMV, MP4, AVI, MKV, MP3 and more other various formats. 2. It can also download 720p/1080p/4K/8K videos from YouTube, Facebook, LiveLeak, Vimeo and other 300+ formats. 3. The reliable and user-friendly software enables you to convert any videos within only three steps. 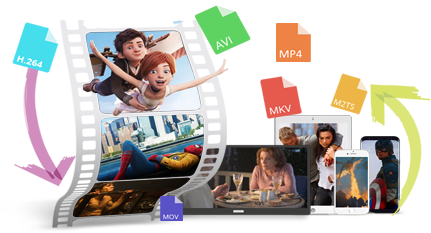 Free HD Video Converter Factory is the best solution to convert YouTube videos to WMV, MKV, AVI, M4V and more as you wish. This useful YouTube WMV downloader is easy to use and full-featured. It’s able to download 1080p YouTube videos, download 4K YouTube videos and even helps you to download 8K YouTube videos without hassle. 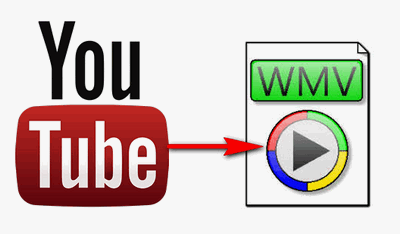 Follow the guide below to convert a YouTube video to WMV easily. Before Start, please get the YouTube to WMV converter free downloadfree download and install it on your PC. Click on “Download Video” on the user interface. Paste the target YouTube video URL for converting YouTube to WMV. Then hit “Analyze” to detect and analyze the video. Soon, it will list the resolutions, formats and videos size that can be downloaded for the video. Choose the desired one and click on “Download” button to download YouTube videos. After finishing downloading YouTube videos, you need to choose an output format by clicking on “Output Format” button on the main user interface. Then select “WMV” under “Video” tab. The all-purpose video converter can also convert YouTube to MP4, YouTube to 3GP, YouTube to MP3, YouTube to WAV, etc. Choose an output folder for the converted YouTube videos. Click on “Run” on the lower right to start the YouTube WMV conversion. With the fast conversion speed, you will get the converted WMV soon. Now you can play the WMV on Windows Media Player and use it for other purposes. If you don’t have much higher demand for video quality and the conversion speed, you can use YouTube to WMV online converter to download YouTube video to WMV. Onlinevideoconverter is one of the most popular online YouTube to WMV video converters you're able to use free. With it, You don’t need to submit an email address or log in with a social media profile and can convert YouTube videos to WMV online easily. The following part shows you how to convert YouTube to Windows Media Player supported format, WMV with the YouTube WMV downloader. Step 1. Copy the YouTube video URL you want to convert it to WMV. Step 2. Open this link: https://www.onlinevideoconverter.com/video-converter and paste the video URL in the text box. Step 3. Select .wmv from the drop-down list to convert YouTube to WMV and hit “Start” to process the videos. Step 4. After the processing is finished, click on the “Download” button to download the converted WMV files. Please note that it may take time to process and download the videos and some ad-page may pop up during conversion. That is the whole process on how to convert a YouTube video to WMV. Personally, I’m inclined to convert YouTube to Windows Media Player by downloading YouTube as WMV, and Free HD Video Converter Factory is my preference as it can download YouTube videos at extreme speed and supports WMV and other various output formats I need. The best method of converting YouTube to WMV with high quality easily. It can also download videos from Vimeo, Facebook, MetaCafe and other 300+ sites, deal with 300 + formats conversion and edit your videos by merging, clipping, cropping, etc. This powerful YouTube WMV converter can deal with 300+ video conversion including YouTube to WMV, MP4, MOV, AVI, MP3, WAV, etc. The 50X faster conversion speed and batch conversion mode allow you to convert many YouTube videos simultaneously and quickly. More other features like SD to HD/4K enhancement and video editing will never let you down.